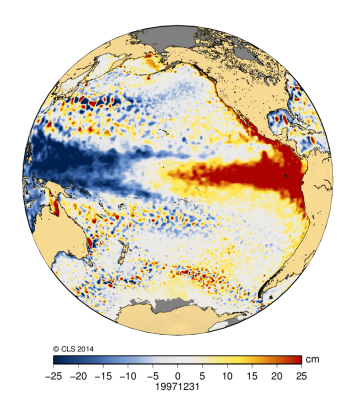 Altimeter satellites tracked the development of El Niño, highlighting a maximum anomaly of more than 20 cm in the northern winter. By June 1998, surface height was returning to normal. 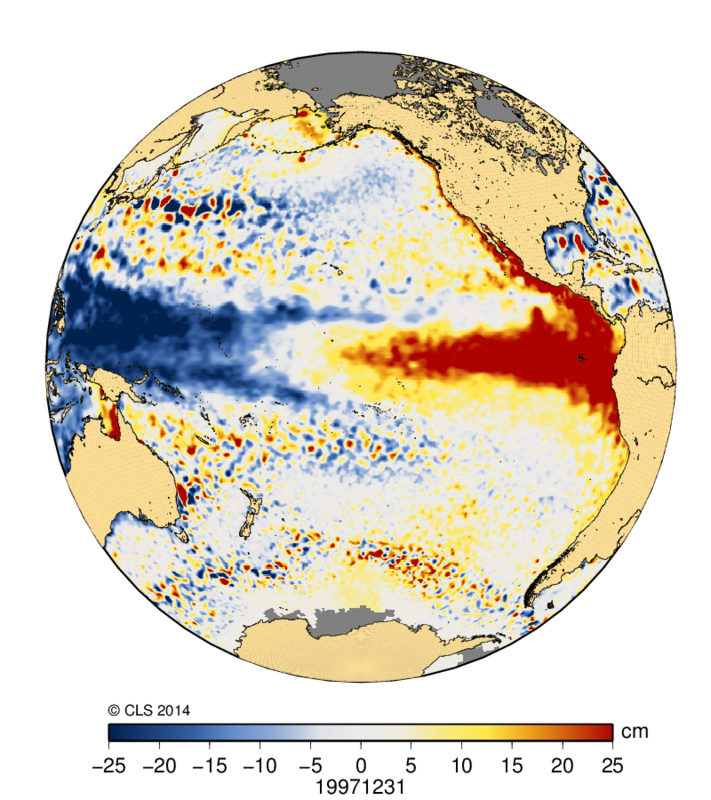 In July 1998, Topex/Poseidon and ERS-2 revealed favourable conditions for La Niña, which developped in 1999.